L. Fabius L.f. Hispaniensis is presumed to have been quaester in Spain in 82 BC, and struck coins in this respect. 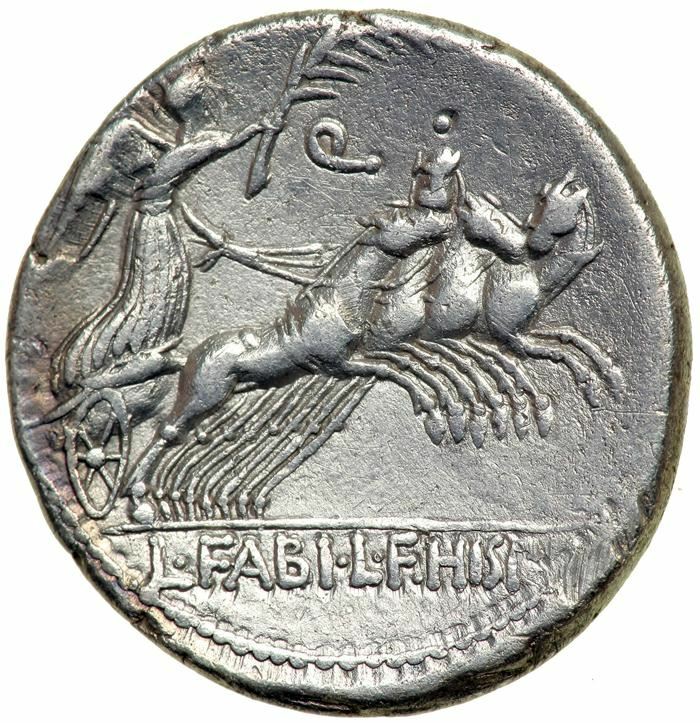 He struck coins alongside C. Annius Luscus, who is presumed to be his proconsul. Gens Fabia was one of the most ancient patrician families at Rome. The gens played a prominent part in history soon after the establishment of the Republic, and three brothers were invested with seven successive consulships, from 485 to 479 BC, thereby cementing the high repute of the family.